Any time your hedgehog is not eating it is cause for concern. Be sure to read our Help! Hedgie is Not Eating article to try and determine the cause of your hedgehog to stop eating. Hedgehogs that have dental problems (tooth decay, tooth loss, gum disease) or are too weak to feed themselves may need a soft food diet. Traditional hard kibble can be crushed or ground with a food processor, blender (grind setting), or coffee grinder. Several days worth of food can be ground at one time and stored in a zip lock bag in the refrigerator. Pet Pro Products makes and sells “1st Crumbs” which is an excellent crushed kibble for young babies or hedgehogs with special needs. Many hedgehogs will accept traditional foods softened with warm water. Homemade or low-sodium chicken broth can be added to whole or crushed kibble provide moisture and to make the ground food a little tastier than plain water. Chicken, turkey and beef can be ground in the blender. Can be added to powdered regular food or feed alone. The exoskeletons of many insets and the crunchiness of freeze dried bugs may present a problem for hedgehogs that have trouble chewing. Live insects can be frozen and then crushed, crumbled, mashed, or ground either by them selves or with the dry kibble. Insect crumble can be fed alone or mixed with other foods. Live meal worms that have just shed look white and are softer than regular mealies making them easier for some hedgehogs. Canned insects are softer than fresh or freeze dried. Canned insects need to be refrigerated after opening so they do not spoil. Several hedgehog owners have recommended using chicken baby food without onions. One brand or flavor may be preferred over others. One more thing to try is a mixture of baby rice cereal with bananas and a tiny bit of acidophilus powder to the food. This mixture may help sooth the upset stomach and add the good bacteria back to the digestive tract. Constipation often coincides with anoreixa so canned pumpkin may help by providing fiber as well as additional vitamins. Protein Drinks such as Ensure or Boost can be given in a dish or syringe fed. Strawberry or Vanilla flavors are best as Chocolate may not be good for hedgehogs. Electrolyte Drinks such as Pedialyte or the generic brand. Freezer pops (that are not frozen), single servings, or powdered mixes are ideal because less goes to waste. Many hedgehogs prefer their food lukewarm. Always thoroughly stir and test foods after heating to be certain you will not burn your hedgehog. Some hedgehogs prefer their food moist, others pudding consistency and still others prefer slightly runny. Older hedgehog’s olfactory senses may deteriote so that their food is not as appealing because they are having a hard time smelling their food. Hedgehogs may need to smell their food up close before hand feeding. Be careful not to burn hedgie by heating foods too hot. Always remove uneaten foods after four hours to prevent bacterial contamination. Beware! Most of these foods smell really bad – especially when heated! Stay in touch with your veterinarian to ensure changes in your hedgehogs diet will be beneficial. New foods may provoke your hedgehog to self anoint. This annoying habit is messy but harmless. Changes in your hedgehog’s diet are likely to lead to changes in your hedgehogs bowl movements. Your hedgehog’s poop is likely to change consistency, color, and odor according to what your hedgehog is eating. Green, black tarry or mucous stools can be signs of other problems and you should stay in close contact with your vet. Stool samples are often a window to your overall hedgehog’s health. Highly digestible protein sources make Carnivore Care an ideal choice when providing supplemental nutrition to carnivores that are not eating. Mix Carnivore Care with water to provide complete nutrition to rehabilitating carnivores with a reduced appetite. Inappetence is normally a secondary symptom of an underlying health problem. Due to the likely compromised health of animals that are not eating, Carnivore Care is to be used under the supervision of a veterinarian and the guidance of Oxbow. 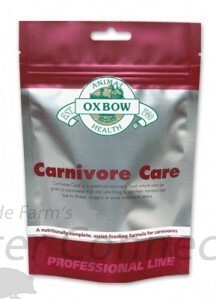 Please contact Oxbow at 1-800-249-0366 to determine what options are available for your small carnivore. Many ferrets with gastrointestinal problems are reluctant to eat unless offered a highly palatable food. Hand-feeding is recommended to aid in recovery and help prevent dehydration in cases of diarrhea. Originally designed for ferrets, Carnivore Care may be used as a supplemental feed for other carnivorous animals. Consult your veterinarian for feeding directions and further information. 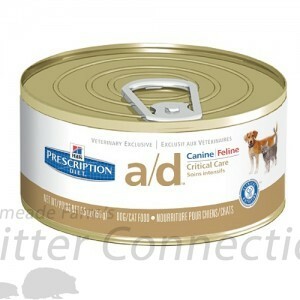 (Tomlyn) High-calorie, good tasting food supplement with Omega Acids for cats, kittens, dogs, and puppies. An energizer for finicky eaters. Provides added energy during periods of need such as lactation, shipping, weaning, rehabilitation and recuperative processes. Give 1 1/2 tsp per 10 lb body weight daily. (PetAg) A palatable, concentrated source of live naturally occurring digestive bacteria found in the intestinal tract. For any time an animal experience stress from changing nutritional or environmental conditions. For use in dogs, cats, rabbits and other small animals. 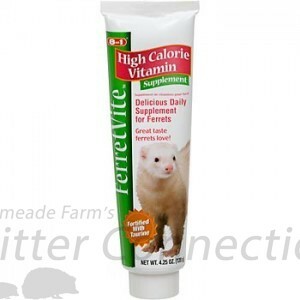 Ferretvite High Calorie Vitamin Concentrate is a high-energy daily supplement exclusively for ferrets. For ferrets off their normal diet, Ferretvite helps stimulate their appetite and increase weight gain. Rich in essential fatty acids, and added taurine, Ferretvite ensures a glossy coat and healthy skin. 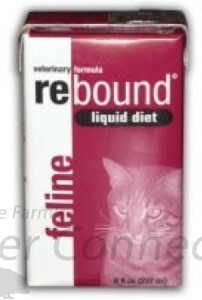 Feline Liquid Diet was developed for convalescing cats in need of nutritional support. 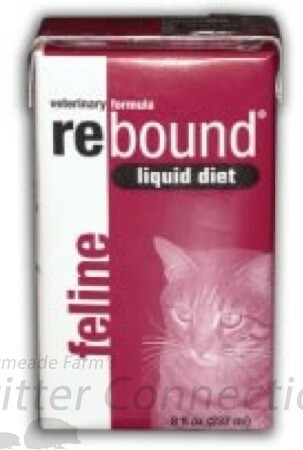 Feline Liquid Diet provides 100% of the required calories, vitamins, minerals, and fiber a recovering cat requires. Feline Liquid Diet can be administered free choice, syringed or administered using a feeding tube. Feline Liquid Diet is ready-to-use. No mixing or diluting with water is needed. Udo’s Choice Ultimate Oil Blend is a certified organic blend of unrefined nutritional oils, free of the contaminants and damaged constituents found in processed oils. 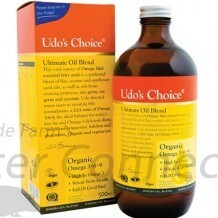 Its unique formulation will provide you with an excellent source of the unprocessed, readily utilised omega 3 and 6 essential fatty acids that are vital for life. It contains oils from fresh, certified organic flax, sesame, sunflower and evening primrose seeds as well as oils from rice and oat germ, providing ‘minor’ ingredients with major health benefits. This oil blend has added non-GMO soy lecithin, which improves oil digestion and provides the building materials for healthy cell membranes. 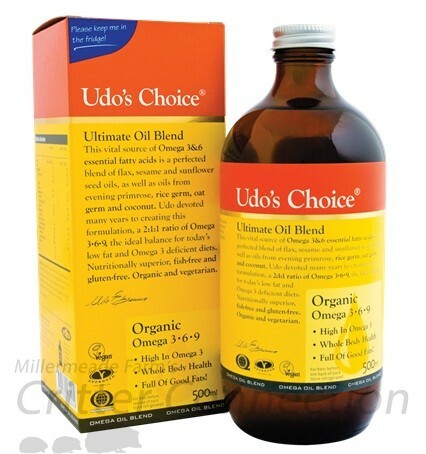 Udo’s Oil™ 3•6•9 Blend also contains medium chain triglycerides, which are easy to digest and assimilate and can be used directly by our cells as a source of energy without increasing fat deposits. 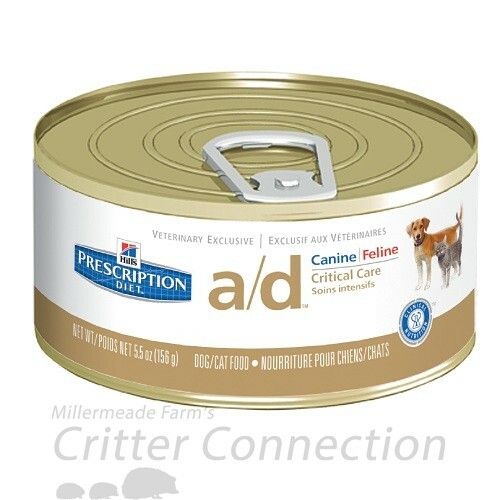 Hill’s® Prescription Diet® a/d® Canine is a complete and balanced food that provides all the nutrition dogs and cats need. Please consult your veterinarian for further information on how our Prescription Diet® foods can help your pet to continue to enjoy a happy and active life. *Please note this recipe is listed as Jeanne passed on the recipe to me. I cannot answer any questions about this recipe other than the information as provided above. This recipe has been used by countless hedgie owners over many years. Jeanne has shared this recipe with many desperate hedgehog owners both personally and through many hedgehog mailing lists. She gave me permission to share this recipe in January of 2006 and I appreciate her kindness and generosity. Take all the following ingredients, mix in a blender until like pudding, store in ice cube trays in the freezer, thaw as needed. You can make this fruitier b adding more fruit, or you can make it meatier by adding more baby meat. Heat the chicken broth and pour half the hot broth over the kibble. Set the extra aside and let the kibble soak. When all the fluid is absorbed, add more hot broth. Use your hands to mash up the kibbles until there are no hard lumps. If a few hard bits remain, put the soaked kibble in a food processor or blender until smooth (I actually use a wand blender). Add the other ingredients and blend thoroughly, adding more broth until it’s smooth and of the consistency of pudding. If using insects, put them through a coffee or spice grinder until they are powdered and add them last. Pour the mixture into ice cube trays, freeze and then remove the cubes and put them into freezer bags. One to two cubes is a full day’s ration for most hedgehogs. Take them out ahead of time to warm to room temp or microwave on defrost for a few seconds to thaw.